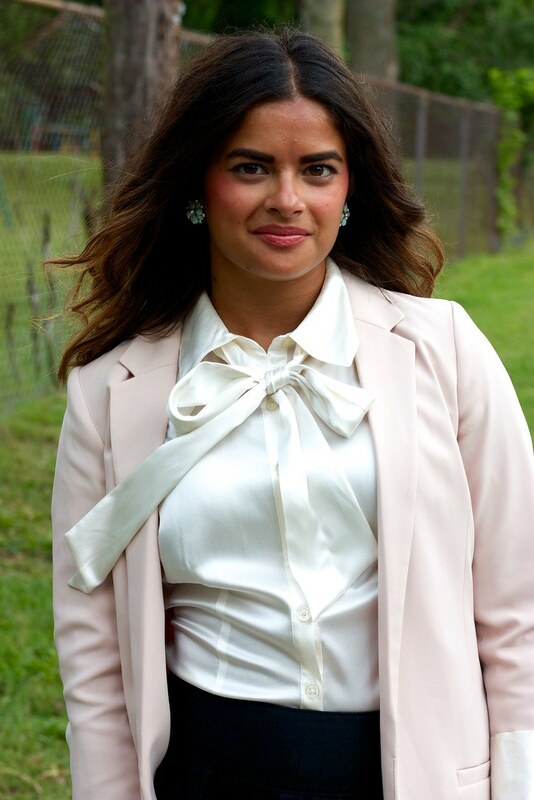 You Know You... | Priya the Blog | life & style in Nashville & beyond! Wow! What a look! But before telling how beautiful you look and I have to ask - you bought the blazer on your birthday? So the no-shopping challenge is over? Or did you take a birthday break? Okay, now back to the topic - wow! You look like the most sophisticated lady ever! The blouse looks like great on you (is it silk? It looks like!) and this blazer is just sooo pretty, I would really like to borrow it for a couple of weeks (even though I have a similar one). This blouse is silk, and just a magnificent hand-me-down. Nothing I would buy on my own!! Thanks Larissa! LOVE IT!! Don't you look super cute and professional! You could totally be on Gossip Girl in this outfit! You are definitely channeling your inner Blair Waldorf here! All you need is a headband and knee socks! I think you've got yourself a Halloween costume girl! Ooooooo! I love this look and I can see why it reminds you of Gossip Girl! 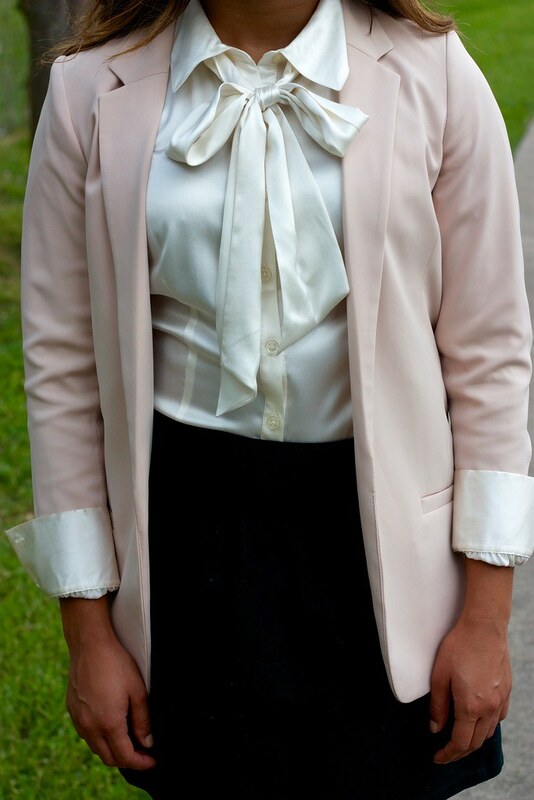 I have a similar blush pink blazer that is just hanging in my closet that I haven't worn yet but am dying to. It's just too hot right now but maybe in the Winter... this outfit looks so good on you and I love the white and blush tones. Didn't even think about that. Thanks girl!